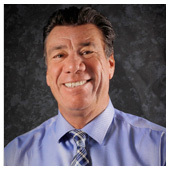 Mr. Perna has over 25 years of experience in building equipment, construction, and supplies. He joined Devon Office Furniture in 2006 after fast expansion prompted the company to open an office in Florida. He was named national sales director in 2009 after growing sales across the southeastern United States and into the Ohio Valley and Midwest regions. Since becoming the company’s president, Mr. Perna has continued expansion west and has fostered relationships with some of the office furniture industry’s largest dealers. Prior to joining Devon Office Furniture, Mr. Perna most recently owned, operated, and sold a building supply company in Florida.